At Fujitsu's North America Tech Forum the green data center topic came up in many presentations. And, there was a tech booth with Data Center Energy Efficiency through Simulation. The ideas was announced in 2009. London, 16th Sep 2009 — Fujitsu Laboratories of Europe Limited announced today the launch of its latest Green Data Centre development at the European Technology Forum, hosted by Fujitsu Laboratories of Europe in London (16-17 September 2009). Fujitsu's Total CO2 and Value Analysis solution is the result of extensive research and development, in conjunction with the Carbon Trust in the UK, the company set up by the UK Government to accelerate the move to a low carbon economy. Based on a core simulator developed through industry collaboration and with the support of the Carbon Trust to analyse energy use and carbon emissions in data centres and identify potential reductions, Fujitsu Laboratories' new technology represents a revolutionary approach. It breaks new ground in enabling a holistic analysis of energy usage within a data centre environment to be captured, quantitatively analysed and profiled, from the physical infrastructure, to the software, applications and delivered services. Given the demonstration was done by the Fujitsu Labs Europe I was curious on how this product relates to Romonet. It turns out both Fujitsu and Romonet's came from the same beginnings. The challenge with any tool from these companies though is going to market. 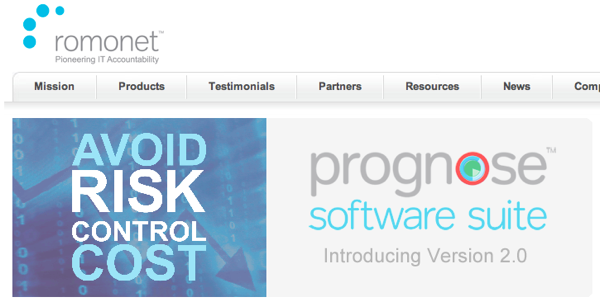 Romonet is software product you buy. Fujitsu is looking at lower cost business models that put the product on the web. Later this year Fujitsu's tool will launch.